Retrouvez Penn à la BNF ! Rebecca Bushnell is the School of Arts and Sciences Board of Overseers Professor of English at the University of Pennsylvania, where she has taught since 1982. She received a BA from Swarthmore, an MA from Bryn Mawr, and a Ph.D in Comparative Literature from Princeton University. Her books include Prophesying Tragedy: Sign and Voice in Sophocles' Theban Plays; Tragedies of Tyrants: Political Thought & Theater in The English Renaissance; A Culture of Teaching: Early Modern Humanism in Theory and Practice; and Green Desire, a study of early modern English gardening books. She has also published A Companion to Tragedy and Tragedy: A Short Introduction. Her new book is called Tragic Time in Drama, FIlm, and Videogames: The Future in the Instant. She is now working on editing a multi-volume Cultural History of Tragedy. Professor Bushnell has received an ACLS research fellowship and the Lindback Award for Distinguished Teaching, as well as an NEH grant for Teaching with Technology. Professor Bushnell served as Associate Dean for the Humanities in the School of Arts and Sciences from 1998-2003, Dean of the College of Arts and Sciences from 2003-2004, and Dean of the School of Arts and Sciences from 2005-2013. She was President of the Shakespeare Association of America. 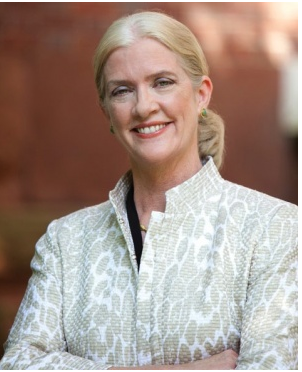 She is also a member of the Board of Trustees of the Library Company of Philadelphia, Princeton Day School, and the Folger Shakespeare Library, and a member of the Advisory Board of Managers of the Morris Arboretum.